Victim survivors are important voices of experience on the death penalty issue. 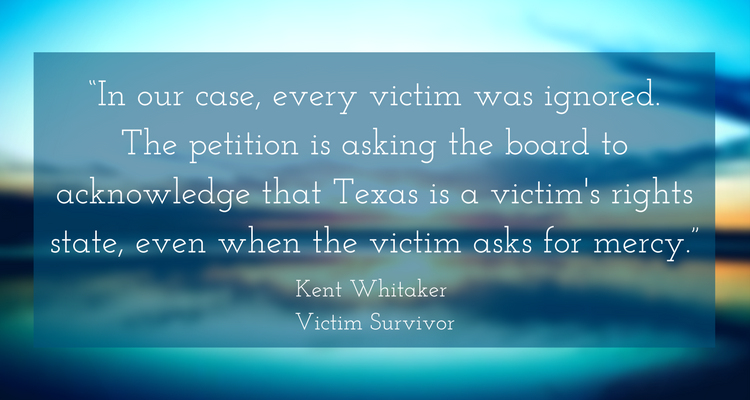 On this page, you’ll find the stories of Texans who have been impacted directly by violence and who oppose the death penalty. 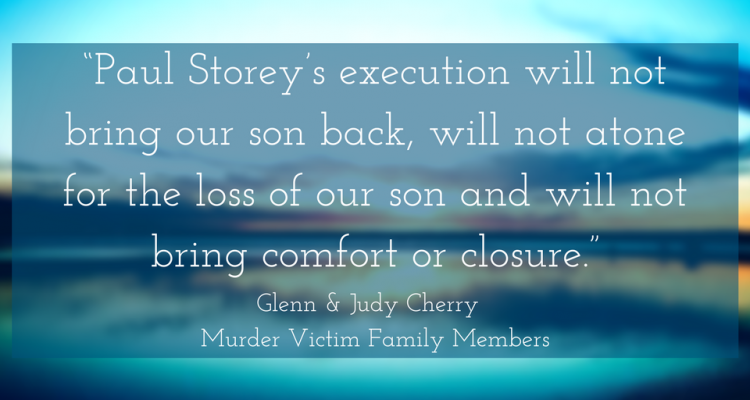 Those are the powerful words of Glenn and Judy Cherry, whose son Jonas Cherry was killed at a Putt-Putt Golf and Games in Hurst, Texas in 2006. One of the men convicted of his senseless and tragic death – Paul Storey – faces execution by the State of Texas on Wednesday, April 12, 2017. The Cherrys have signed an affidavit asking state and Tarrant County officials to stop the execution and commute Storey’s sentence to life in prison without parole. On April 7, 2017, Paul Storey was granted a stay by the Texas Court of Criminal Appeals. For more information about the Cherrys and their fight for mercy, please visit Support Glenn and Judith Cherry. After high school, Leveria moved back to Dallas, where he attended Paul Quinn College for two years. He wanted to pledge Omega Psi Phi fraternity. Leveria also attended ITT Business School for a while before landing a job at UPS. On July 9, 1991, Leveria had spent a relaxing day with friends at an apartment in Lewisville, drinking beer and playing a pick-up game of basketball. For unknown reasons, though, a fight broke out later that night between Leveria and a high school friend who was visiting from Tyler. Leveria went downstairs to the apartment where his girlfriend lived, but she would not let him in. In the meantime, the friend grabbed a gun from his car. 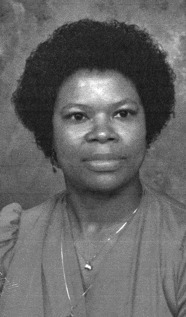 When Leveria returned to the apartment where the fight occurred, the friend shot him multiple times as he crawled down the hallway. He was 21 years old, the father of a young daughter. – Joyce Washington, mother of Leveria “Rockwell” Washington, Jr.
As the surviving mother of a murder victim, Joyce says she needed to be able to talk to someone weeks and months after the funeral, when all her friends and family members had gone their separate ways and she was left with the loneliness and sadness and hurt to deal with. “We [victims’ family members] need to know where to get help, support, and counseling for a long as needed, to have access to someone we can reach out to and talk to anytime, one-on-one if necessary. At the time I did not feel I got the help that may be available today,” she explains. 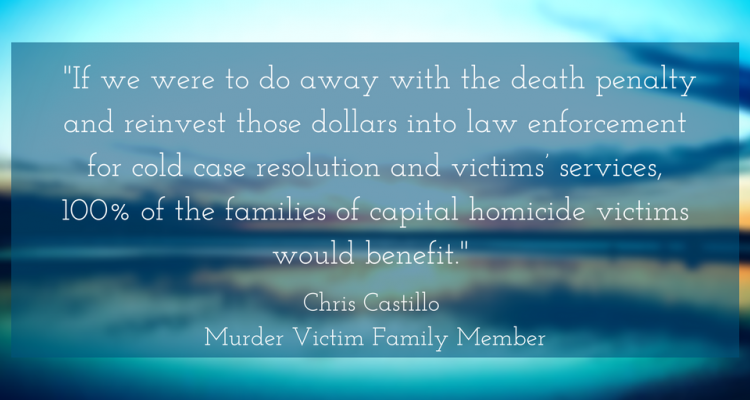 Read these Voices of Texas, featuring the powerful stories of individuals whose loved ones were murdered. These profiles were developed by Murder Victims’ Families for Reconciliation.